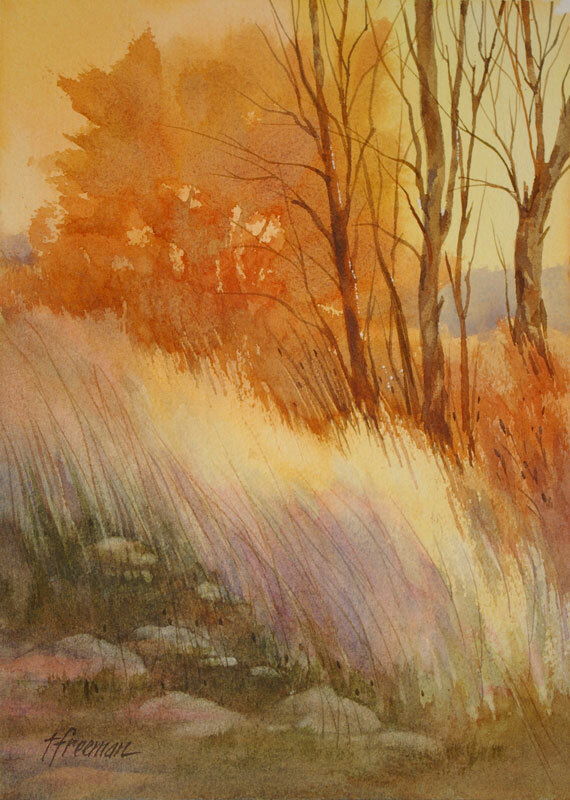 Thomas Freeman Original Watercolor Painting: "Prelude to Winter"
This painting was inspired by a walk around Colby Lake in Minnesota. The fall coloring was beautiful – and two days later was covered by 10 inches of snow. The middle ground trees were painted wet.